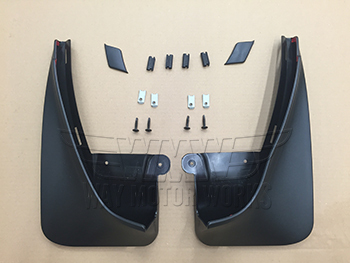 Rear Mud Flaps for 2007-2013 R56 R57 R58 R59 MINI Cooper and Cooper S. For mud flaps I have to say these look pretty good. On top of that these are very functional as they will keep the rear of your MINI Cooper much cleaner. These are an original OEM MINI set, not a cheap aftermarket set. Not for JCW bumpers. sold as a pair of Rear Cooper mud flaps, with mounting hardware.